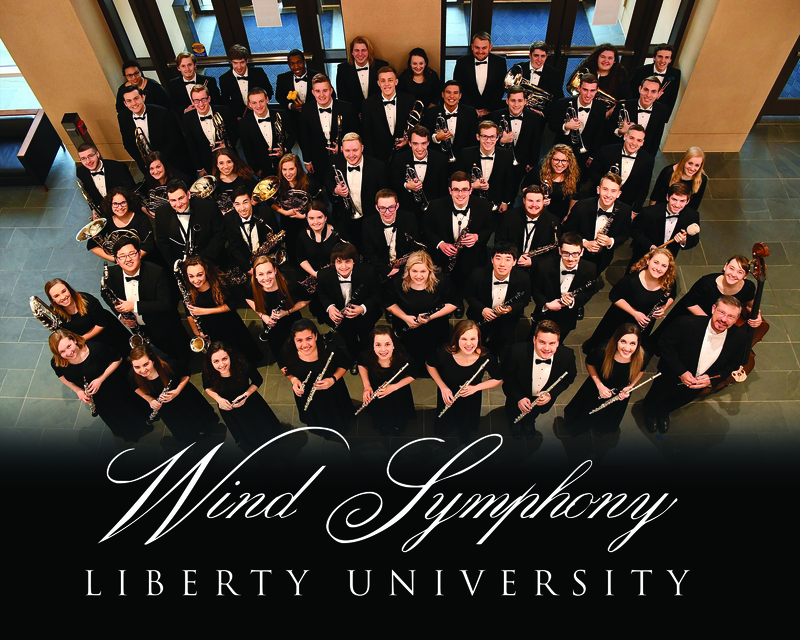 The Liberty University Wind Symphony is an auditioned instrumental ensemble for students who are advanced players of woodwind, brass and percussion. 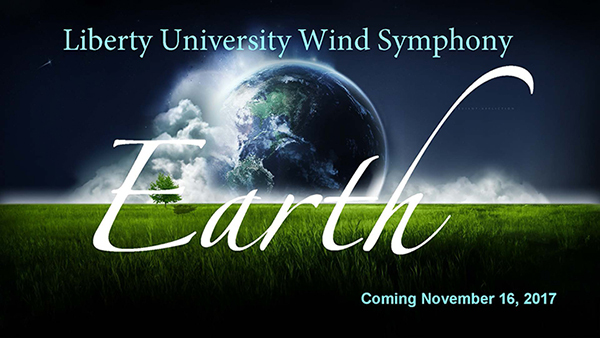 Repertoire includes original and transcribed advanced wind symphony works from all eras, including exploration of new sounds and rhythms by contemporary composers. 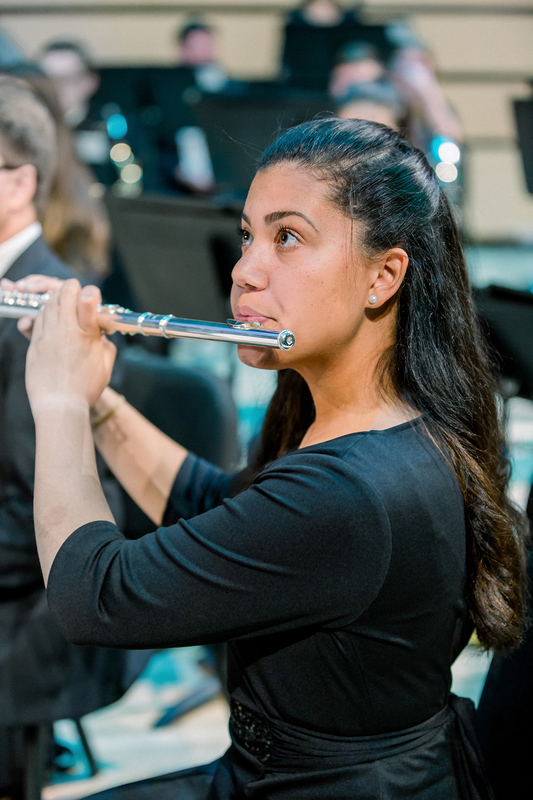 The Wind Symphony travels on an extensive spring tour annually, where they perform multiple concerts at a variety of prestigious venues, plus the ensemble enjoys recording sessions and additional concerts on campus each semester. 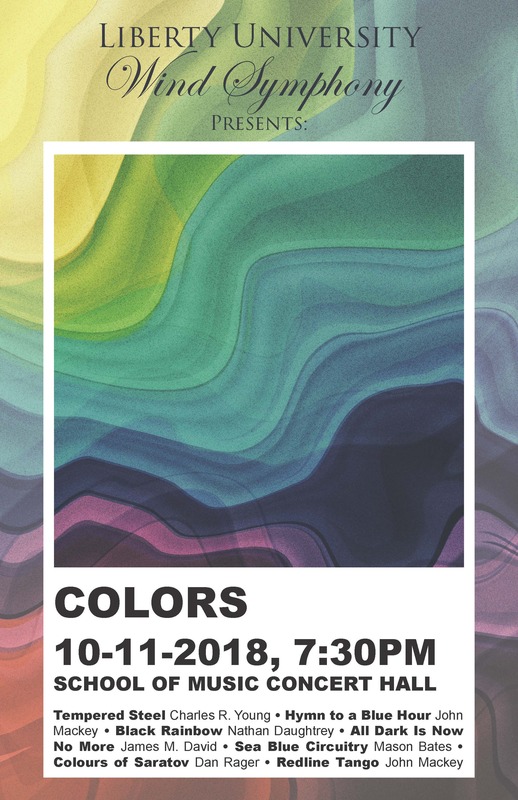 The Wind Ensemble has had the exciting opportunity of being invited to perform at the College Band Director's National Association Conference (CBDNA) multiple times. Their most recent CBDNA performance was at the February 2016 Southern Division Conference in Charleston, SC. At the 2016 CBDNA Conference, the Wind Sympony had the joy and pleasure of meeting John Mackey and performing one of his latest works entitled Wine Dark Sea - Symphony for Band, which tells the story of Homer's epic poem, The Odyssey, through three distinct musical movements. 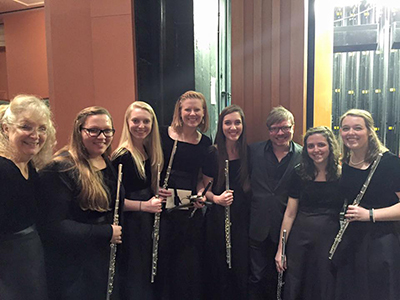 Pictured below are a number of our members with John Mackey after the celebratory performance. We will be traveling on our annual Spring Tour March 16-25, 2018! 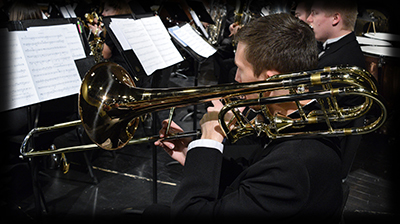 Please follow the 'Wind Symphony Tour' link below for detailed information about this year's performance schedule in the Southern United States. 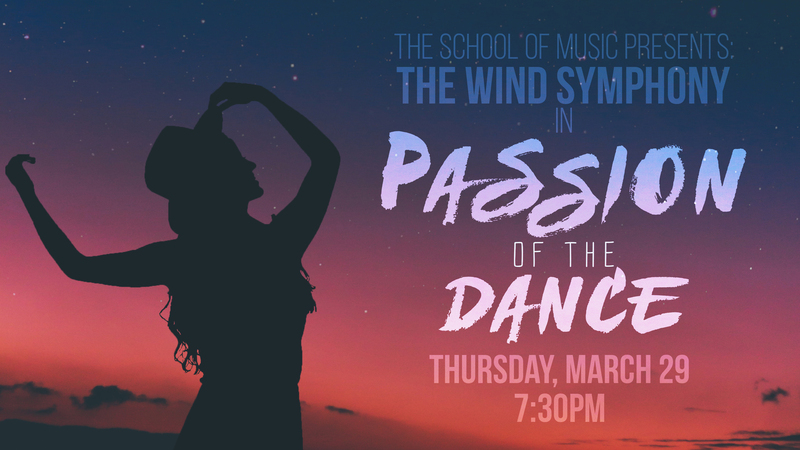 Following our return from Spring Tour, we will be presenting our Spring Concert entitled 'Passion of the Dance' here on our campus, in the brand new Grand Concert Hall of the School of Music. 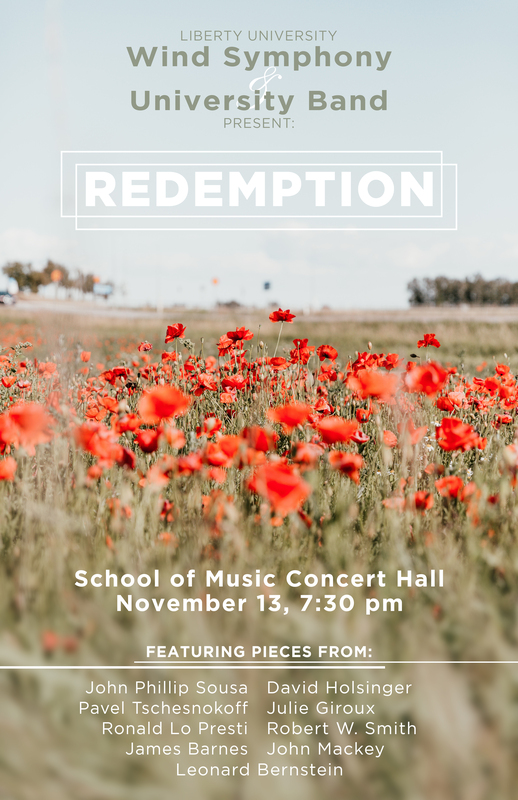 This concert features pieces surrounding the theme of dance repertoire, and will include standard collegiate band repertoire. 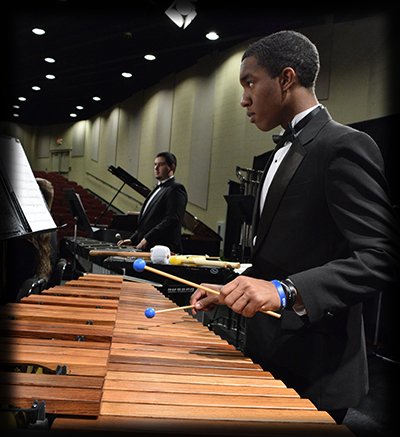 Spring Concert: Thursday, March 29, 2018 at 7:30 p.m. 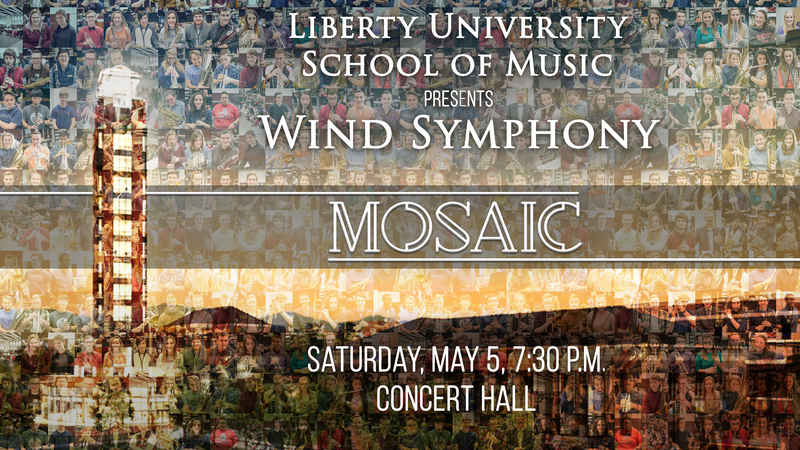 The Liberty University Wind Symphony is offered during the Fall and Spring semesters every year. Membership in the Wind Symphony is by audition. Please contact Dr. Kerr for more audition information right away! If you are hosting the Liberty University Wind Symphony, here are a few resources available to you for advertising.